Well, folks, the results are in. 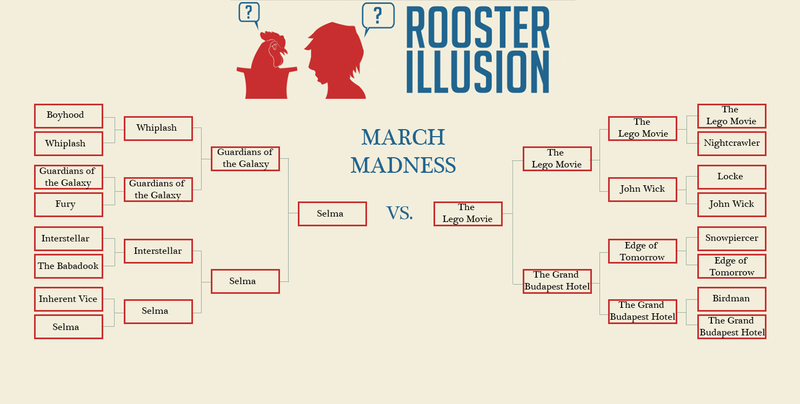 Though the competition was fierce, The Lego Movie defeated The Grand Budapest Hotel by, get this, a single vote. So anyone out there who really really loved Budapest but was too lazy to vote and just assumed it would win, let the record now show that your votes counts on this site. Having defeated Inherent Vice, Interstellar, AND Guardians of the Galaxy, the MLK historical drama deservedly claims its spot in the final round. The Lego Movie won landslide victories over Nightcrawler and John Wick, but just barely slipped in ahead of The Grand Budapest Hotel. 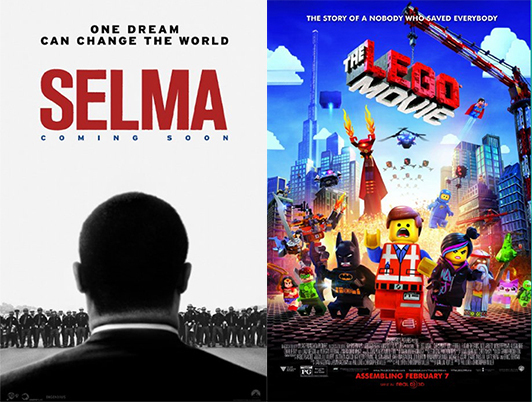 This final may strike you as an odd pairing, but I would remind you that Selma is not The Civil Rights Movement, and The Lego Movie is not your favorite toy and an icon of your cherished childhood: they are both films. They are great, well-executed, and totally different, but they are just movies. When you vote in this poll, please keep that in mind; you’re not making a big statement either way. The poll is now live. Let the best film win.